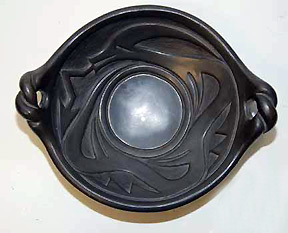 Severa Tafoya (1890-1973) is one of the most well known (d.)Santa Clara potters. 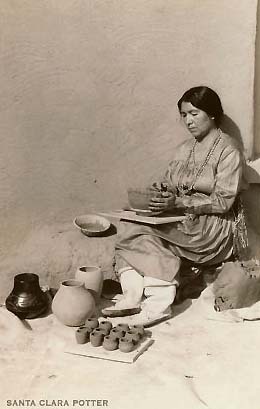 She is listed in the book "14 families in pueblo pottery by Rick Dillingham" on pages 158-160. 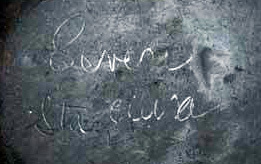 Severa's mother was Leocadia Gutierrez and her father was Thomas Dozier. Her brother, also well known, Evangelo (Van) Gutierrez who was married to Lela who died in 1969. Severa married Cleto Tafoya. Her children who potted are Mary Agnes Tafoya 1925-1983, Angela Baca born in 1927 and married Antonio Baca. Her daughter Lydia Tafoya 1923-1975 married Santiago Garcia. Lydia's children are (d.)Tina Garcia, Greg Garcia and virginia Garcia. Severas' daughter Maria Tafoya has children potters as well, Gwen Tafoya, Kathy Silva, Wanda Tafoya and Anita Povijua, Stephanie Fuentes, Epimenia Tafoya 1920-1962 married Robert Nichols who's son Robert Cleto Nichols is a well respected potter as well. Severa also had granchildren such as Paul Speckled Rock, Kenneth Tafoya and Ray Tafoya, David Baca, Leona Baca and Alvin Baca.